Instantly Enhance the Natural Light in Your Shots With 1-Click! How would you like to improve the natural light in your shots, instantly? We have a very special offer for 70% off on this exclusive set of premium natural light presets for Lightroom. They’re a set of 12 stunning Lightroom presets designed to help you improve the light in your shots in 1 simple click. These Lightroom Presets are subtle yet powerful presets that will bring out the intricate lighting details in your shots. They are NOT flashy, glitzy, over-the-top presets that are far too common these days. For me it’s like this – If a preset pack claims to do everything, It probably won’t do any of those things well. What you really need (or should have) are a set of presets for EACH situation. Because Your photography is unique, and so is EVERY situation. 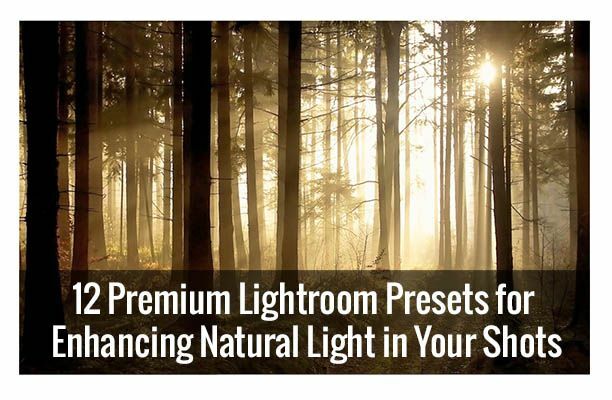 These Lightroom Presets are ONLY for enhancing natural light. Period. They DON’T do it all. But they DO Enhance the natural light in your shots, extremely well. As a very special bonus, these presets come with a video to help you install, understand and use them effectively. Rachael runs through use examples of each preset. We recommend you find similar images, follow along and then make your own tweaks. 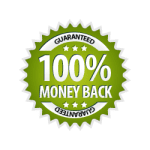 Yes, you’ll get great results from simply clicking apply. But the real magic comes when you make your own tweaks to the sliders and settings. That’s how you can get your photos to really stand out. These presets are perfect for subtly giving your shots that extra ‘pop’. These presets were created by Rachael Towne from presetsgalore.com and she has spent hours hand-crafting them. Tweaking every slider, and carefully adjusting every necessary setting. Making sure they are perfect for the Photzy audience. Rachael’s had loads of experience working with Lightroom, and has mastered the art of small changes, big impact in post-processing. Don’t delay. Improve The Natural Light in Your Photography Today. Join more than 468 photographers from around the world, who have used these presets to instantly improve the natural light in their shots. 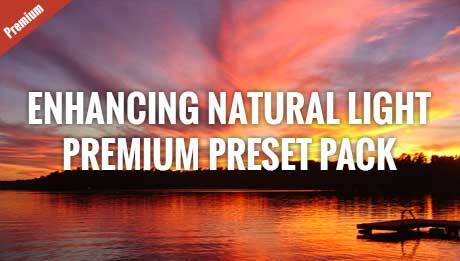 Click Add-to-Cart Now to Get Your Copy of The Enhancing Natural Light Presets! This set of Presets comes with a 365-day Money Back Guarantee. If at any time you are not happy with your investment in these presets, just contact us for a full refund. That is how sure we are that you will love them.